Great news! 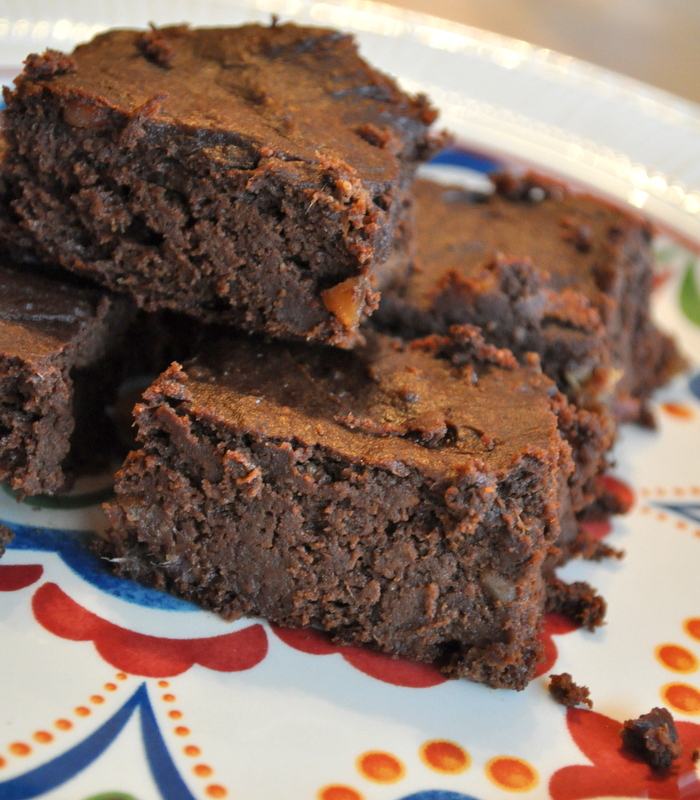 You don’t need sugar, flower, and junk to make a brownie… and why would you want to? …One that will add weight to your thighs, make you feel guilty after eating “just one”, and give you false promises nutrition and empty lies calories. …One that will undoubtedly taste good on the outside but wreck havoc on the to your insides. But we both know that’s not a lie, right? 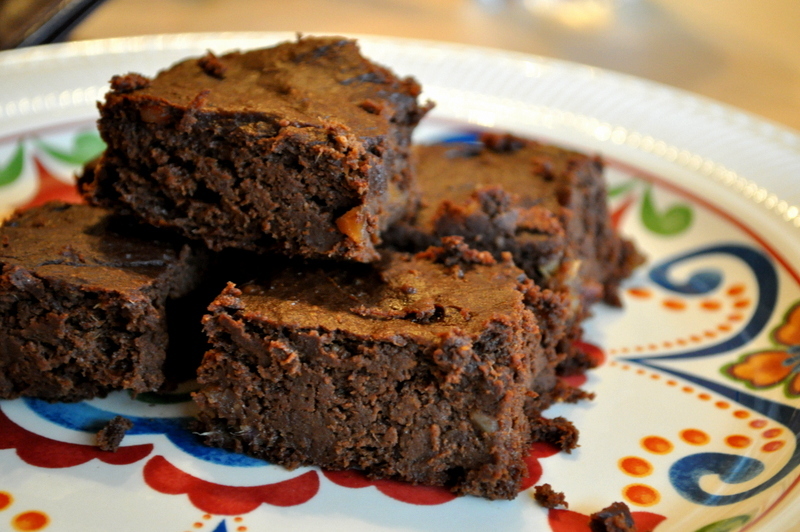 Make these Primal Pumpkin Almond Brownies now. Adapted from This Primal Life. In a large bowl, combine all ingredients, mixing well and making sure to mash the dates until only small chunks are left. Grease an 8×8 glass Pyrex baking dish with coconut oil to prevent sticking. Pour your brownie batter into the baking dish making sure batter is evenly and smooth. Bake for 30-40 minutes, or until a toothpick inserted comes out clean. Remove from oven and let cool before diggin’ in. Adding in olive oil would probably help give them a more moist texture. Fat always helps with baked goods on the dry side. Sorry about that!! Mine were definitely NOT dry so I wonder what the difference was when you made them. Possibly I had more fat in my almond butter? Or my dates were more plump, larger, or juicy… I say try again! 😉 Good luck! Glad you tried them! I am in disbelief that your brownie is soooooo good. 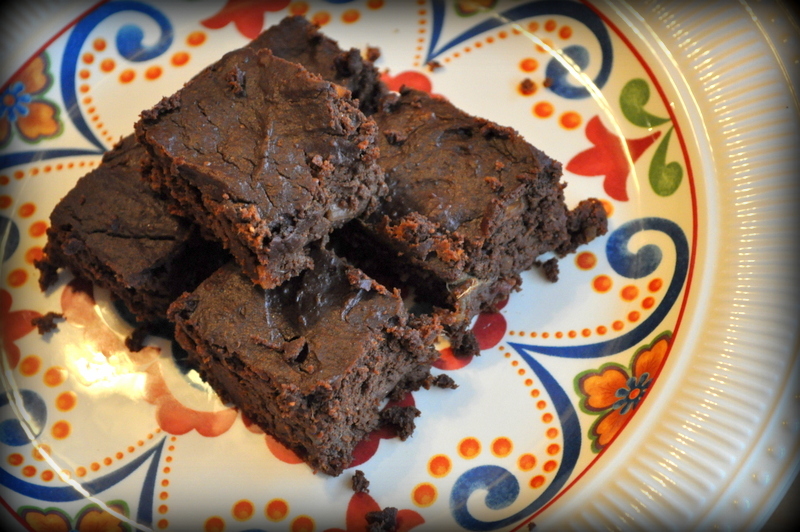 I am a chocoholic from way back and who can say no to a Brownie? So this morning, on a wee farm in Australia I made a batch of your Pumpkin Almond brownies and they are scrumptious, delicious and I think you are so clever. I am going to give the red velvet brownies a go for Valentines day. 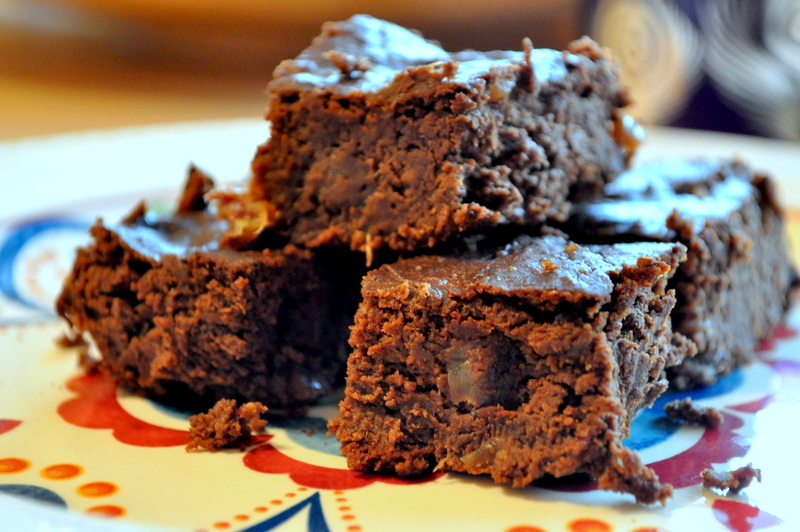 Made these last night … They are amazing and I love that they are so fudge-like instead of tasting like a nut flour. Definitely will be making these again! aaaaaand now you bring me some? ?